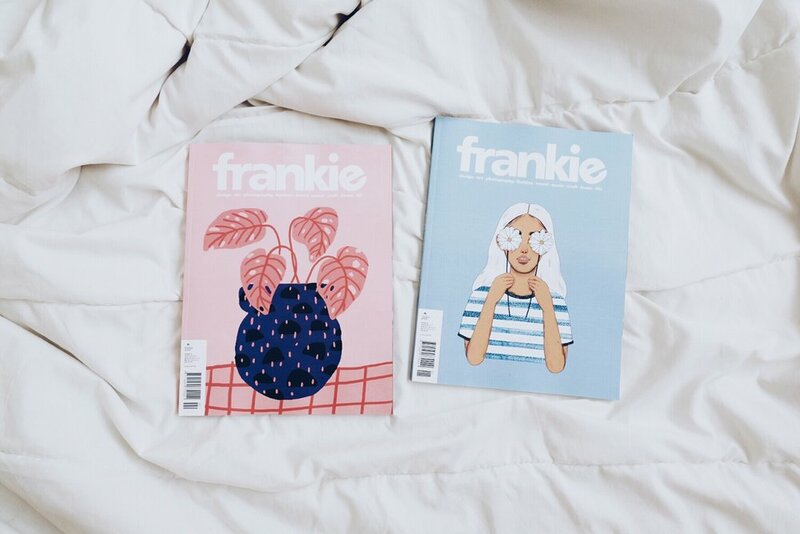 i've never been much of a magazine reader, or buyer, until i picked up my first issue of Frankie last year. over the past few months i've been an avid mag reader for so many good reasons. so happy that i found myself some brilliant quick reads! i love the inspiring contents in these & the fact that there are way less ads compared to other magazines in the market, that i know of. most of the topics or essays written do not have an 'expiry date', in a way. much like reading a book too but facts, not fiction. not finishing the whole thing all at once isn't depressing too, if you know what i mean. it's perfect when i don't have the time to read for hours. Frankie is filled with stories from all over the world, but mostly of independent small businesses down under where it's published, Australia. its smart, funny, sarcastic - in good ways, filled with inspiring stories of entrepreneurs & quirky short essays. 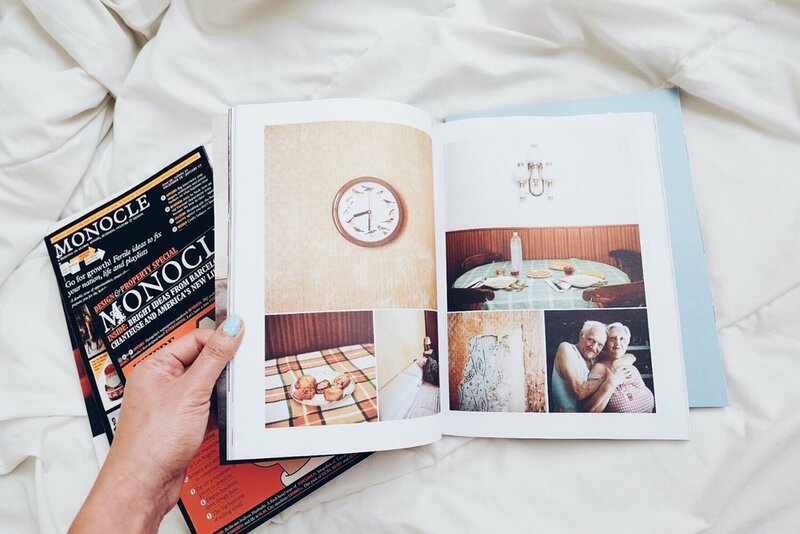 it kept me interested, pages to pages filled with great photos. I really like the overall 'mood'. Frankie also features beautiful handmade creations by artists and creatives alike. the cover page is always so pretty! with every issue there's also something special included, sometimes a poster, but always with a monthly planner, perfect for my wall-planning shenanigans. sometimes i gawk at all the out-of-the-box ideas that grow into something life-changing for these artists. it's amazing what people can come up with from childhood imaginations. for most, that's how it all started. Kinfolk, the Home Edition. i thought this would be a good one to start, maybe see what the hype on Kinfolk is all about. i did get it right away when i flipped through the first few pages. the photos are captivating, the content are perfectly curated. i have yet to finish reading but i find myself stalling just so i'll have something new to see the next time i flip it open. i bought my first issue of Monocle sometime last year too & i think it is one of the most informative magazine to date - at least that i know of. filled with topics on design, global affairs, business, culture plus coverage on parts of the world that i've never even heard of. i'm all in. the photos are great, too. that's always a plus in my book. if there's one thing these magazines share in common, it's quality prints. i gawked at how great the pages are. just stunning. any other recommendations? i'm all ear! interior design, architecture, photography, travel & wildlife - these are the things i'd never get bored of.